Yellow Boots Rebuilding Program rebuilds homes for senior citizens, people with disabilities and families with children who can not afford to have their homes rebuilt by contractors. For clients who can afford supplies, Yellow Boots Project provides supervised volunteer labor. For clients who can not afford supplies, Yellow Boots secures donations of rebuild material and supplies and provides the labor. A typical rebuild project takes approximately 6-12 weeks of volunteer labor and uses approximately $30,000 worth of building supplies. Assigns a case manager to support the homeowner through the application process and connect the client with additional supports and services. Assigns a skilled construction manager to oversee all phases of rebuilding. Secures donations of necessary building materials. Places a skilled site supervisor onsite to supervise the volunteers and to serve as the direct point of contact for each client. 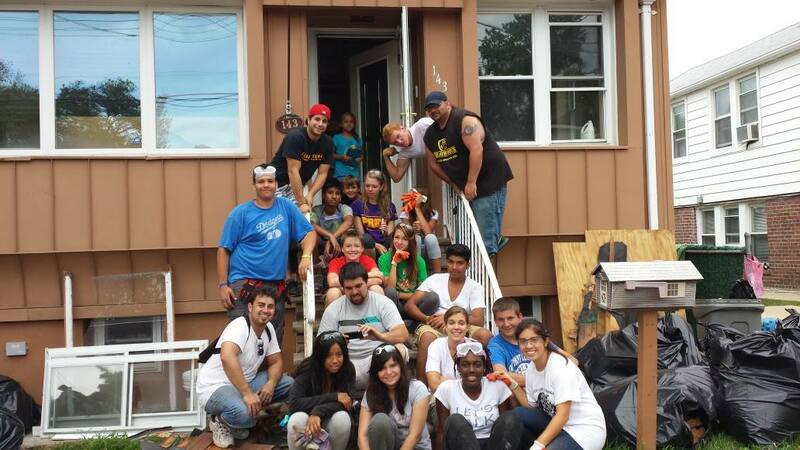 Volunteers play a vital role in the Rebuilding Program. Every day between 25 and 100 volunteers are in the field working on clients’ homes. Volunteers not only help in the rebuilding but they also provide our homeowners with support and encouragement during the emotional rebuilding process. To learn more about volunteer opportunities, check out our Volunteer page. Interested in having your Hurricane Sandy Home rebuilt? Please contact our client services department at 855-SI-YELLOW.